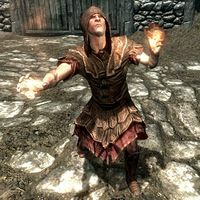 Imperial Mages are members of the Imperial Legion that are only present during the dragon attack on Helgen. 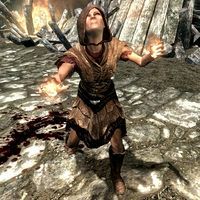 They wear a set of Imperial light armor, a torturer's hood and a pair of Imperial light boots. They can cast Healing and two versions of Firebolt. It is unknown if they survived the attack. This page was last modified on 14 September 2014, at 14:04.